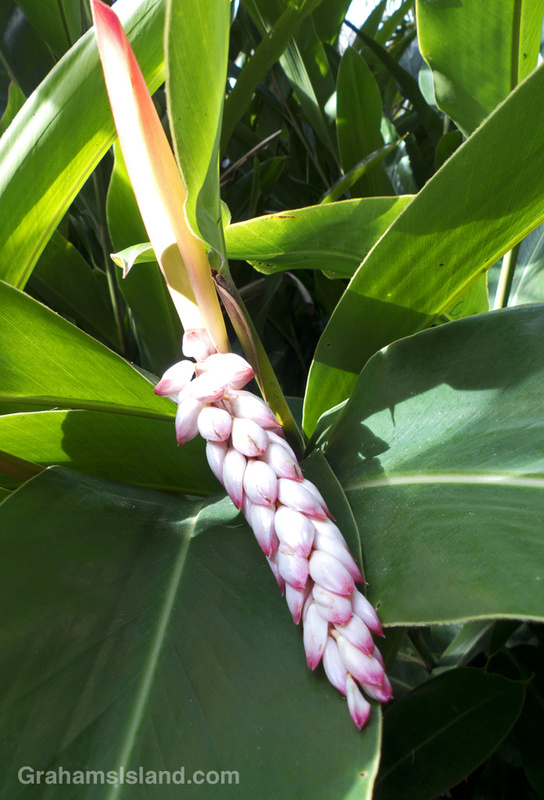 The shell ginger flower has delicate pink blooms, which give the plant its name. 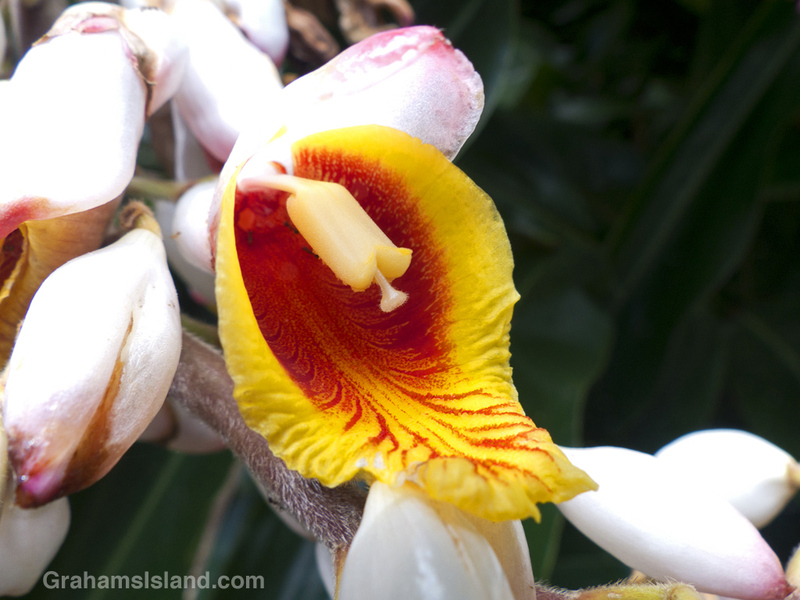 But these pink flowers open to reveal striking red and yellow interiors. This one has attracted a couple of ants.